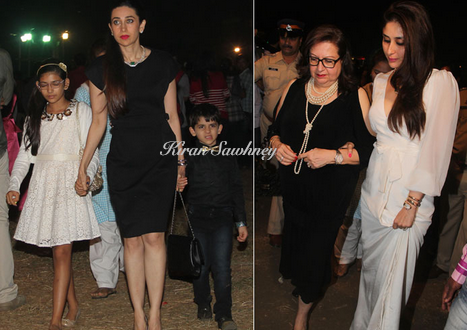 Kareena Kapoor attended midnight mass with sister Karisma, her kids- Samaira and Kiaan and mother Babita. 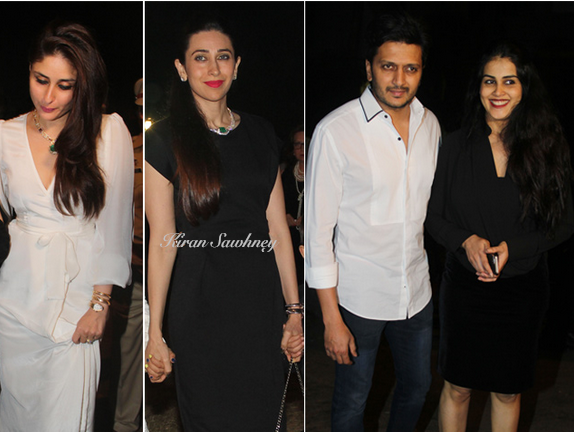 Also present were Riteish and his wife Genelia. 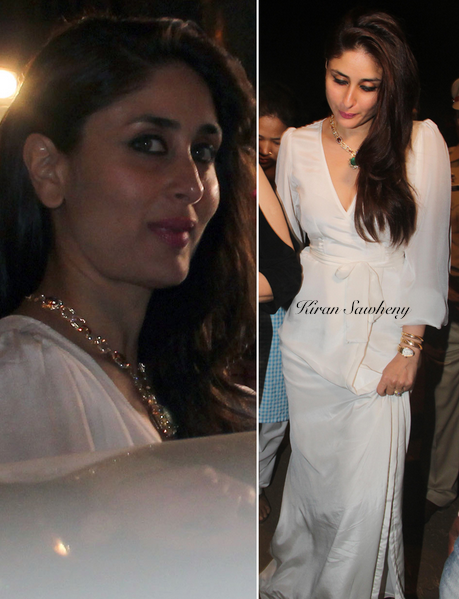 Kareena wore a beautiful long white gown. Its neckline was highlighted by diamond and emerald necklace that she wore. She also wore a Bulgari ‘Serpenti’ watch with it. Karisma and Babita wore black dresses. While Karima wore a diamond and emerald neck piece, Babita wore a string of pearls with her dress.